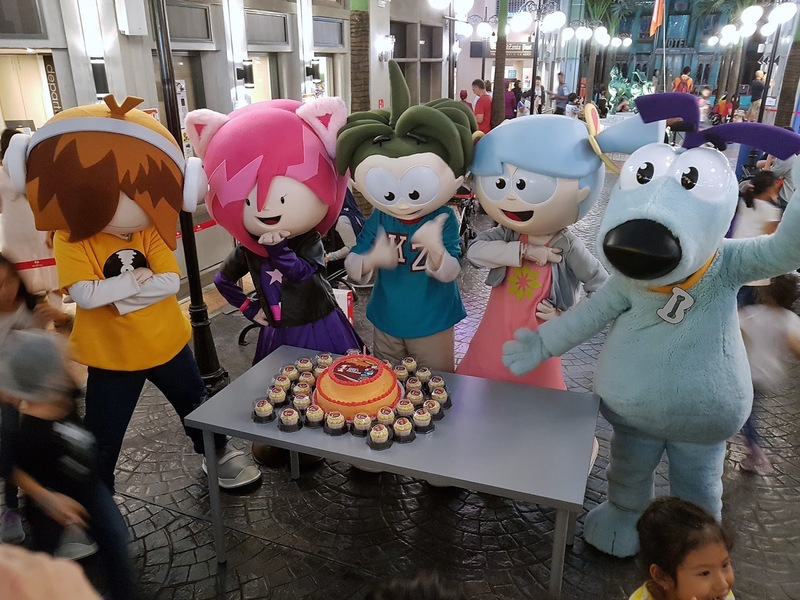 Wow it's already been a year since KidZania Singapore opened in Singapore on 12 April 2016. We've been to the place a couple of times since, but there are still new discovers and jobs that the kiddos have yet to try! You can check our previous visits to KidZania Bangkok and KidZania Singapore! So what are the new stuff that happened at the city? 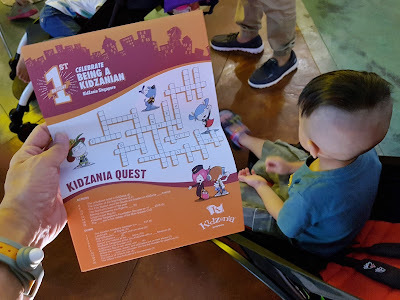 We all know that learning through play is one of the best methods and this is what Kidzania is advocating. It's been a year but the crowd is still going strong and the flipside would have to be the queue. It is a really tough call, because as parents of kiddos waiting for their turn, I would wish for the ones inside to finish up fast whilst on the other hand when my kiddos are inside, I hope they take their time to play and learn. Hence a delicate balance need to stuck and the city restricts guests to 1,500 at any one time but it doesn't help that some activities are more popular than others. Previously the pilot and cabin crew attracts such long queues. 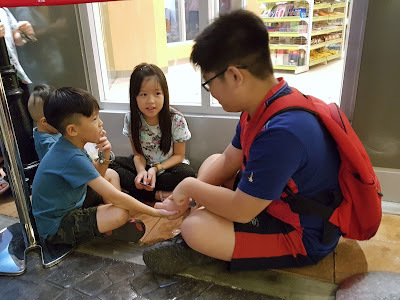 So to address the problem, the kiddos are only allowed one aviation job per visit and are also issued queue cards so that they can try out other activities first before coming back. One of the stuff the kiddos can do while in the queue, is to make new friends! I guess these improvements were based on feedback gathered and I am sure there can be further improvements! In fact I just thought of one. 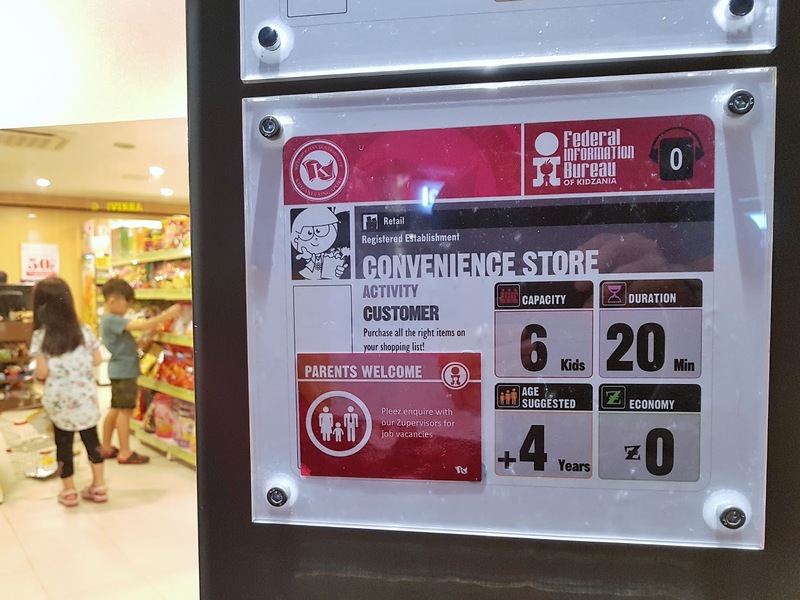 How about having a big electronic board with information on all the jobs, such as time started, number in queue, estimated waiting time etc. So that the parents can make an informed decision with their kiddos on where to go without wasting precious time. 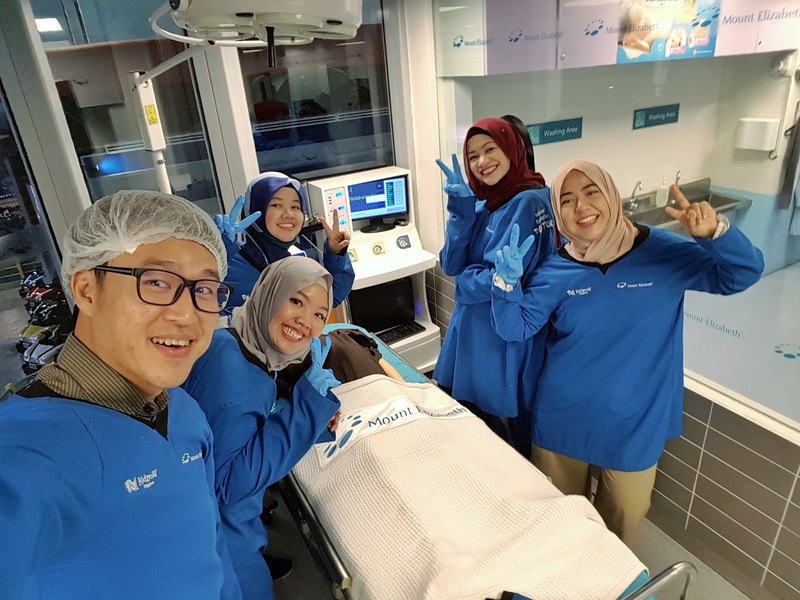 Embracing technology and making a difference to the experience too! Then of course there is this feeling of "paying for nothing" for parents accompanying their kiddos into the city because only the kiddos were allowed into the establishments. Thus one is really paying money to get into the city only to look after the kiddos. But do you know that you can also play along with your kiddos at 19 selected establishments now? 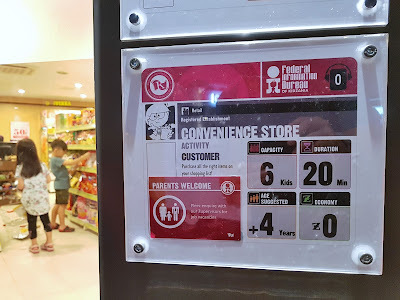 Such as going shopping with the kiddos at 7-Eleven store, styling the kiddos for their photoshoot at Canon, walk with your kiddos as they deliver packages to outlets or help them clean windows too! 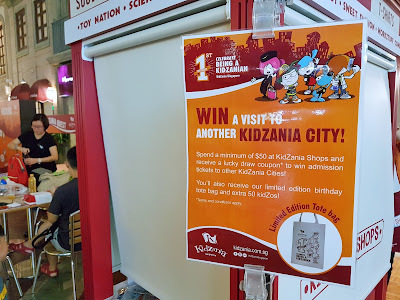 So yup, I guess KidZania Singapore heard us loud and clear... so how about giving us some kidZos to spent ya? We would Zank U for that! Look our for the parents welcome sign at the door of the establishments! And for adults who are not contented with playing along with the kiddos or be their sidekicks only, do note that there will be another adults-only session on 28 Apr 2017 between 6pm - 10pm. Come dressed in your school uniform (as the time for this event is Back-To-Skool) and stand to win the best-dressed. For that day, one gets to do EVERYTHING that the kiddos get to try on a regular day. Based on the good response from the previous sessions, this adults-only event will now be held on a regular basis! Check out their website for more info and note that there are early bird pricing for now. Performing surgery is kinda fun too! 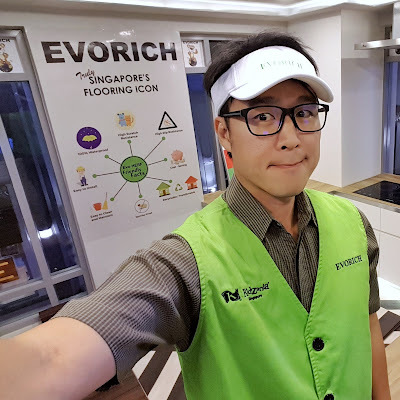 I tried laying wall and floor tiles too with their new partner, Evorich! 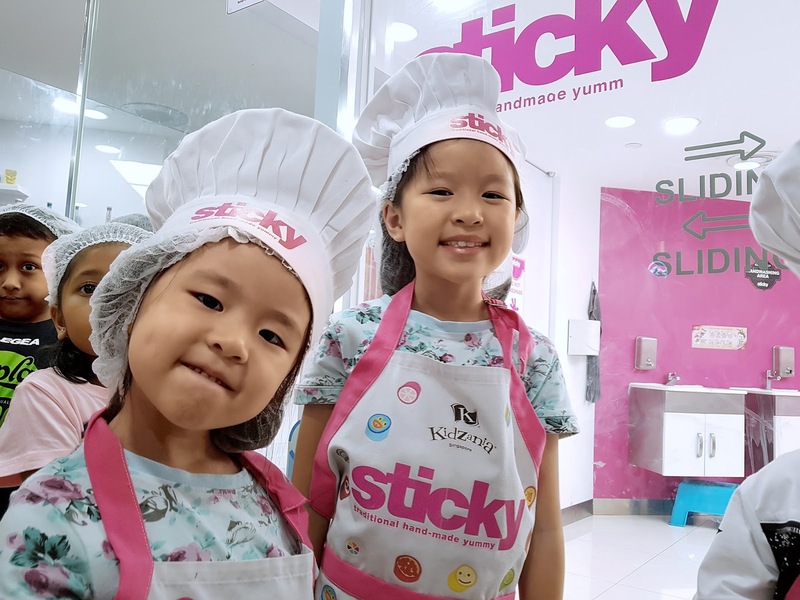 Okay, so KidZania Singapore is coming to town. To Plaza Singapura from 14 - 23 Apr 2017 (11am - 9pm) daily to be exact. Shoppers will get the chance to participate in some of the role-playing activities, view stage performances and take part in games as well. Of course, Urbano and Vita will also make their appearances too and look out for exclusive ticket promotions on site. 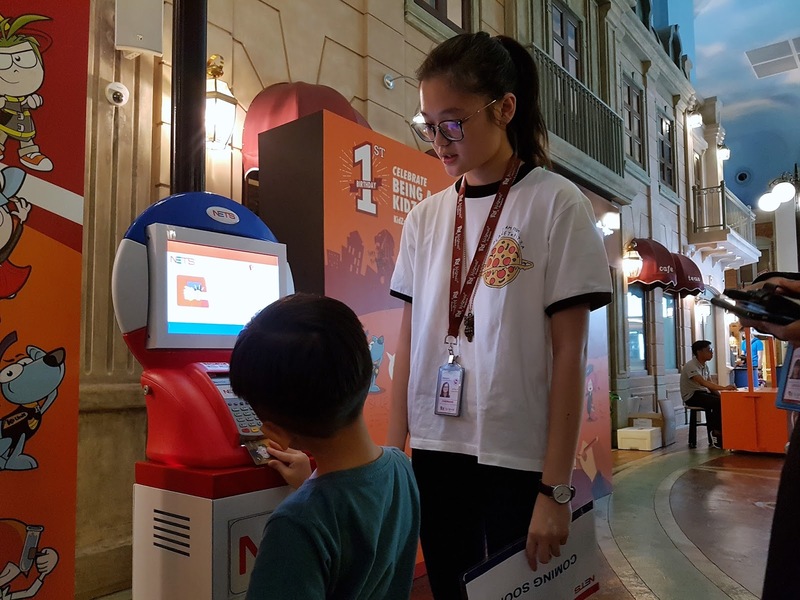 In celebration of KidZania Singapore's first birthday, all kids aged between 4-17 will enjoy 30% off their walk-in tickets from 01 - 30 April 2017. Parents of B.KidZanian citizens also get to purchase up to 5 sets of One adult + One Kid tickets at 30% off per admission and the offer is valid from now until 26 May 2017 (except on Public Holidays). Take part in the KidZania quest from 07 - 23 Apr 2017 and get a goodie bag upon completion! NETS will also be coming onboard and one will soon be able to use the machine to top up kidZos. 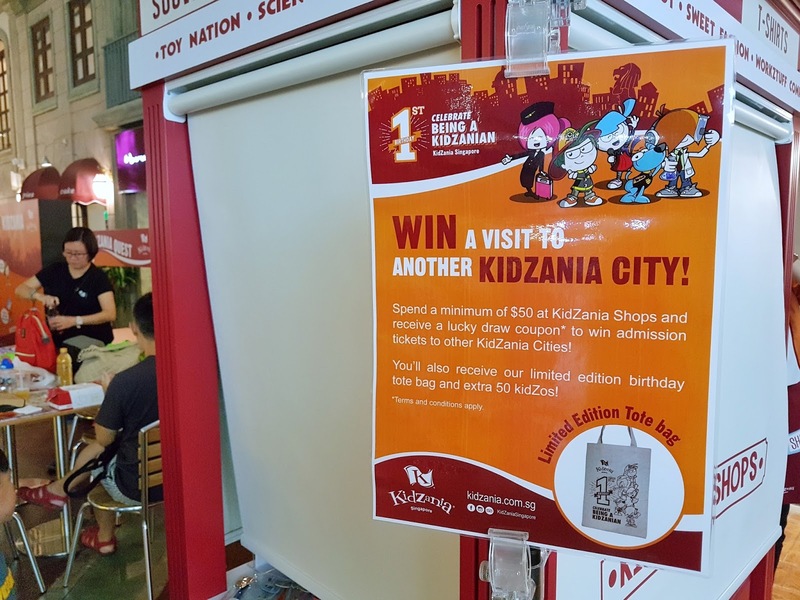 Spent a min of $50 at KidZania Shops and get a limited edition tote bad plus stand to win admission tickets to other KidZania cities too! Thank you KidZania Singapore for the sweet invite to your 1st Birthday Celebrations and we look forward to many more!